At the U.S. Embassy in Turkey, we’ve seen Turkey’s economic growth firsthand. 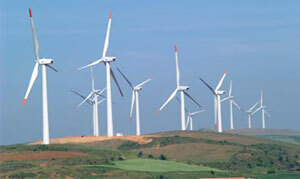 This growth of 8.9 percent in 2010 and 11 percent in the first quarter of 2011, has caused a sharp increase in energy demand. Furthermore, Turkey forecasts 6 to 8 percent annual growth in energy demand through 2020, with an expected addition of 50,000 MW to the grid. Public and private sector investment will fund many of these projects, and U.S. companies are taking notice. For example, in a major acquisition, the U.S. giant AES acquired a nearly 50 percent share in AES-Entek Electric Company, a joint venture with Koç Group. This new U.S.-Turkish joint venture will focus on existing and new generation opportunities, including renewables. GE also recently announced a 530-megawatt project, with the Turkish MetCap Energy Investments in Karaman, Turkey. The project will feature a 22-megawatt GE wind farm, a 50-megawatt eSolar “power tower” solar thermal system and GE’s new FlexEfficiency turbine technology. A FlexEfficiency natural-gas fired power plant is designed to rapidly increase or decrease power feeds into the grid in response to intermittent production from renewable energy sources such as wind and solar. GE is calling this Turkish power plant the first “integrated renewables combined cycle” system. The U.S. firm Clipper Wind opened a representative office in 2010 in Istanbul, and U.S. geothermal project developers and equipment suppliers are chasing several geothermal projects in Western Turkey. In addition, the U.S. Department of Energy is leading an innovative Near Zero Zone development in Izmir to develop a pilot project in energy efficiency using U.S. technology, in partnership with GE Ecoimagination, Shaw Group and Johnson Controls. Turkish firms are hungry for U.S. equipment and technology in both renewable energy and energy efficiency, particularly important given high energy costs in Turkey and the need to lower production costs to remain competitive internationally. The U.S. Commercial Service at the U.S. Embassy in Turkey receives five to seven inquiries per month for potential U.S. suppliers of renewable energy and energy efficiency equipment, services and technology (see trade mission opportunity below). U.S. exporters can become even more competitive by offering trade finance to their Turkish importer, and U.S. EximBank and the European Bank for Reconstruction and Development offer attractive terms to fund sales of American equipment.